Yves Saint Laurent All Hours Full Coverage Matte Foundation | Top Beauty Blog in the Philippines covering Makeup Reviews, Swatches, Skincare and More! 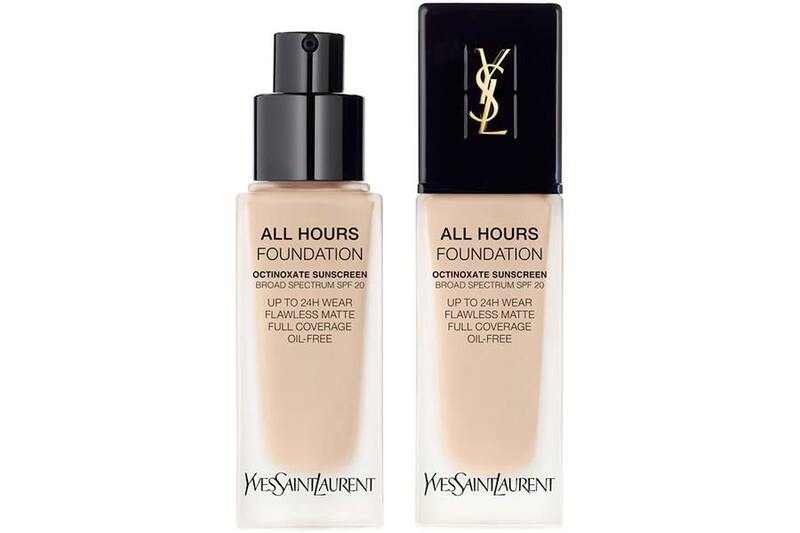 In case you didn't know yet, Yves Saint Laurent's All Hours Full Coverage Matte Foundation – a new 24-Hour, full-coverage foundation that instantly blurs pores and fines lines and provides uninterrupted flawless wear that looks and feels just applied, all-day is now available online at Sephora! All Hours 24-Hour advanced formula won’t cake, dry, flake, or fade. Transfer-proof, oil-free and non-pore clogging, this foundation stands up to makeup meltdowns by combining move-with-you flexible pigments and skin-loving ingredients for better flawless coverage and skin that feels fresh and comfortable from day to night. The blurring formula instantly conceals and erases imperfections, pores, dullness, and unevenness. Skin looks flawless for up to 24 hours thanks to the highest concentration of ultra-fine, oil absorbing pigments that cover and smooth perfectly yet resist fading, heat, humidity, dryness, and touch. The formula is also infused with a black tea antioxidant complex for additional skincare that combats the signs of dullness and fatigue while protecting skin from pollution. Looks like a foundation that I might need - will have to get a sample to try for sure. Interesting that mattes are coming back! Its a great foundation from reviews Ive read. Thanks for sharing! Great review! I would love to try it! Seams good, have a great weekend! Looks like very functional. I'd love to try. Need to try this foundation! I like to think that it'll stay on all day.